Choose a layout and replace the content with your own. 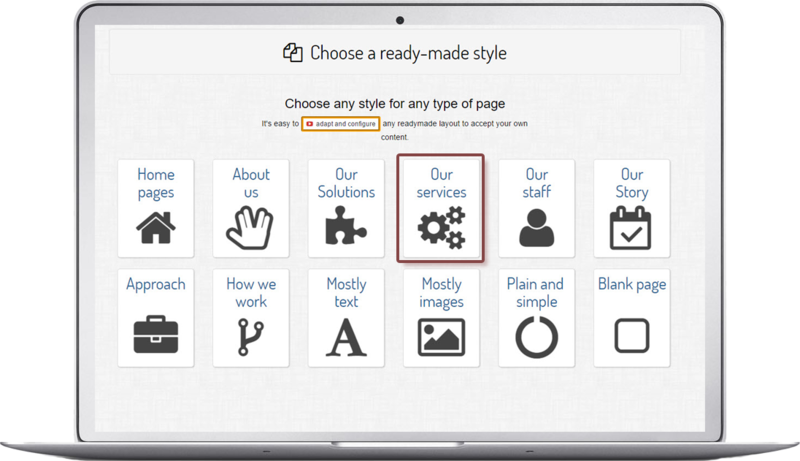 The sitebuilder provides pre-designed, responsive, full-page content templates and individual ready-made paragraphs. Our content templates make the DotGO website builder different . Most people are familiar with design templates. These allow you to take advantage of readymade layouts and styles, pre-made by professional designers. We think the same should be available for your webpage content too. Why start with a pretty canvas and a blank page? Our website designers know how to layout your content so it looks amazing and we have created dozens of page layout templates that you can choose from and edit to display your content. Just choose the layout you want and replace the dummy images and text with your own. Don't spend hours meticulously building a layout that might or might not look good. We already know what looks great. Of course, if there are aspects of the layout you don't like, you can remove them easily. We also provide you with hundreds of readymade sections and paragraphs that you can use too. 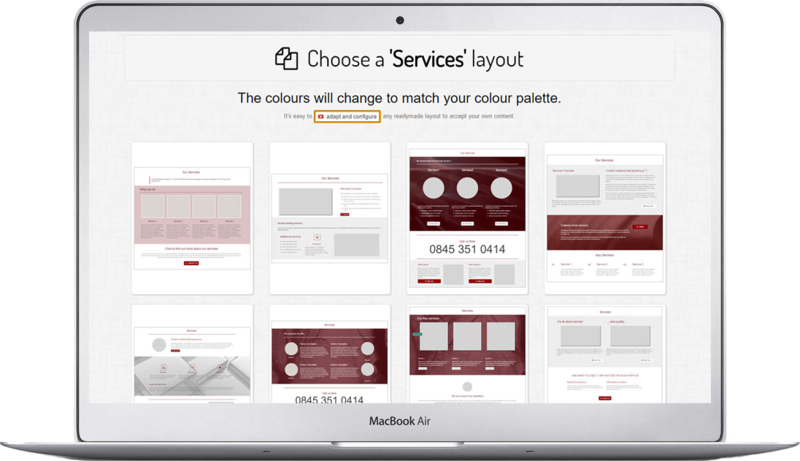 But what makes this even more special, is that each of the template pages you choose have been carefully created so they are fully responsive and look perfect on a computer screen, tablet or mobile.